Pyramid #2 is a work of a new trend that began to appear in the 1980s. The octagonal pyramid's image shows a new development from a series of his basic forms using ordinary cubes. 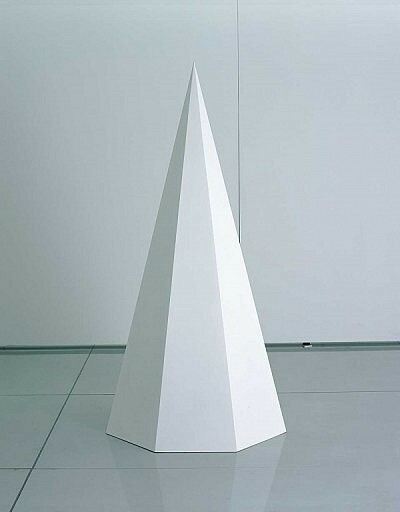 He is one of the most typical representatives of minimalism, an important trend in modern art. From around 1962, he started producing works with painted square and cubic wooden elements. Thereafter, he concentrated on works that overlapped the frameworks of white cubic bodies, and at the same time, set out drawings directly on walls. In the latter cases, diversified color composition was attempted in simple forms.